Your First Dance as a married couple is truly a special occasion, You will want it to be memorable, fun, and exciting. Dance Lessons are a Great First Start! If you don't know how to dance, don't worry, everyone has to begin somewhere. Consider taking some private or group dance lessons! Dances learned in Group Classes will vary according to the class. 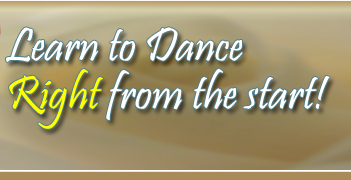 In Private Lessons you will learn dance steps specially suited to the song that means so much to you. If you don't have a song already, we can assist you in choosing one that will make your First Dance special. Here are some music suggestions for your First Dance. The First Dance! : There is a traditional sequence of pairing up couples at a wedding dance that you may want to observe. The first couple on the floor, of course, will be the Bride and Groom. After the First Dance: The Bride and her Father dance together, followed by the Groom and his mother. To ensure that the Wedding Party is comfortable dancing at the reception, you may want to arrange for some special group lessons. The Wedding Party, and parents of the Wedding Party, may really enjoy getting together to do this. We offer Special rates for Wedding Parties. Dance lessons are perfect for giving your wedding that special look and feeling. Your dance instructors can help you decide what style of dancing is best suited for your favorite music and how many lessons you may need. It's also a good idea to go out dancing occasionally together before your wedding. This will be great fun and it will ensure that you feel really comfortable with the dance. It is best to start the lessons as soon as possible. However, please don't hesitate to call if your Wedding is very near. We can still assist you in looking great on the dance floor, even if your wedding is just days away! Choreographed "First Dance" Lessons also available. Please Call to arrange your lessons now! It's never to early to plan your wedding dance. We also offer discounted package rates on Private Lessons. Be sure to include your phone number so we may contact you. Sometimes the email does not go through as expected. 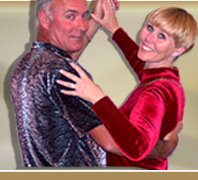 Fontaine Dance offers Ballroom and Social Dancing in the area of Roseville California.